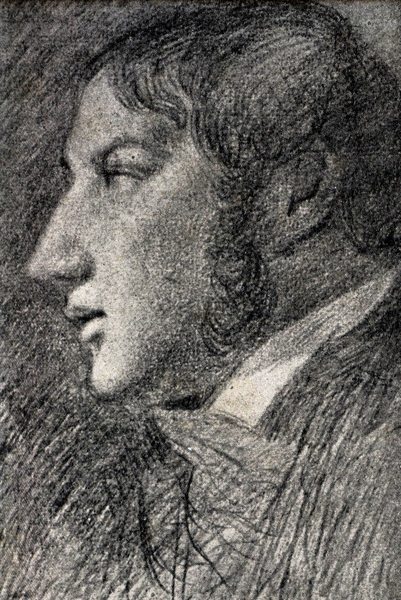 Today marks the anniversary of the death of John Constable, an icon of English Romantic painting. Constable is renowned for his beautiful and highly detailed landscapes yet he was far from an overnight success and often struggled to make ends meet financially. Today I shall take a closer look about an important painting in Constable's story, The White Horse. In 1819 Constable completed the first of what were to become known as his six footers, the large paintings that would seal his reputation. 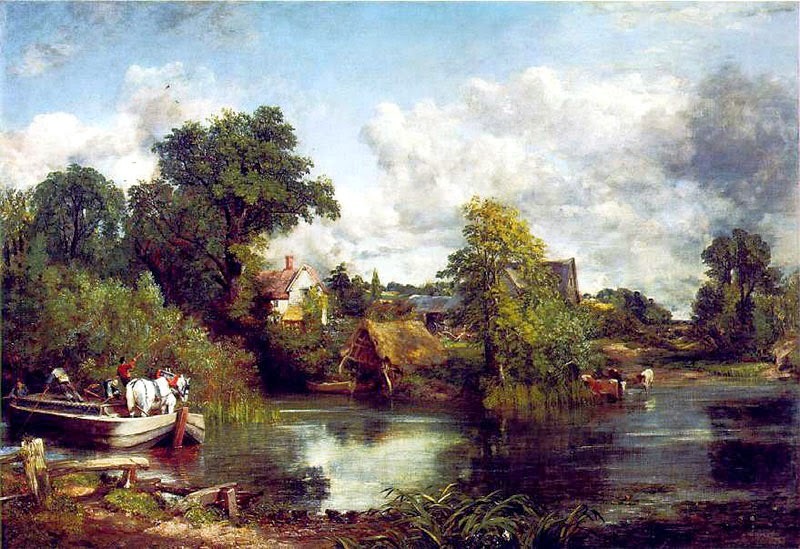 When the work was displayed at the Royal Academy the painted titled it A Scene on the River Stour, though it would later be renamed The White Horse, the title by which it is now widely known. The canvas shows the view from the south bank of the River Stour below Flatford Lock and depicts a scene of daily pastoral business. A white horse waits patiently on a barge to cross the river to the towpath and resume its journey on foot, whilst cattle amble lazily in the shallows. In the distance one can see Willy Lott's cottage, later immortalised in The Hay Wain. Constable shows the natural beauty of nature as vibrant trees line the banks of the river and aboard the barge two men toil to reach their destination, the only humans present in the scene. It is a painting that I adore; I have heard criticisms of the nostalgic wonder of Constable's work, of his rose-tinted vision of England and yet it is this nostalgia that I find so very appealing. One might almost step into the canvas and hear the soft sounds of the water, the quiet murmur of the men as they work. Perhaps is is rose-tinted, but perhaps that is why I like it! The painting was displayed at the Royal Academy in 1819 and it was a success, with Constable finally being elected as an Associate of the Royal Academy following its exhibition. Archdeacon John Fisher purchased the work and renamed it The White Horse, though a decade later he sold it back to Constable, who kept it in his own collection until his death. 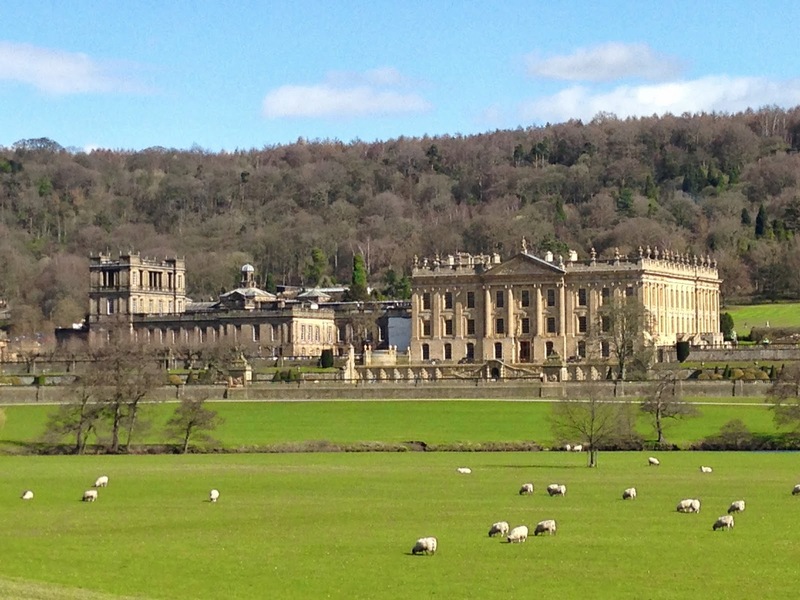 Recently I had the honour of spending a glorious day at Chatsworth, the beautiful Palace of the Peaks. 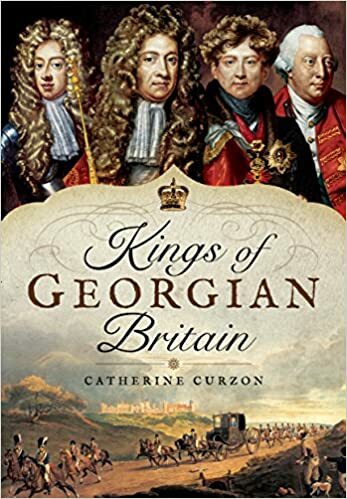 Like so many others, I have long been fascinated by Georgiana, Duchess of Devonshire and have always intended to produce a post of two telling the tale of her remarkable life. 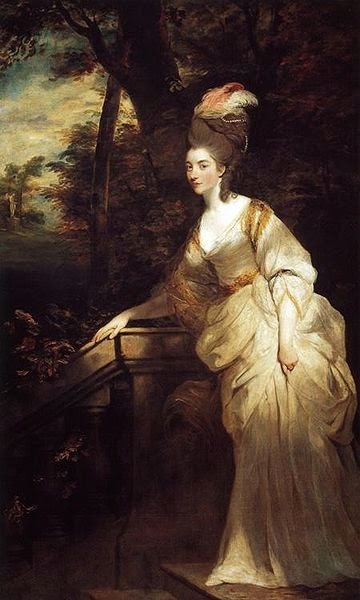 Today marks the anniversary of the last day of Georgiana's life and as a special request for a regular visitor, my article today is an account of the death of Georgiana, Duchess of Devonshire. 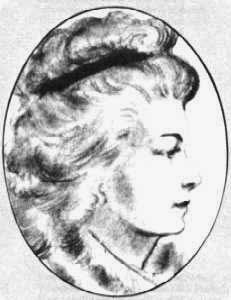 Since 1774, Georgiana had been the wife of William Cavendish, 5th Duke of Devonshire. Noted for her exquisite taste and beauty, the Duchess also had a keen and intelligent political mind and was a devoted and loving mother as well as a gambler who had amassed a mountain of debt by the time of her death. The Duke and Duchess did not have a happy marriage and the couple lived in a ménage à trois with her friend, Lady Elizabeth Foster, who would one day become the second wife of the Duke of Devonshire. 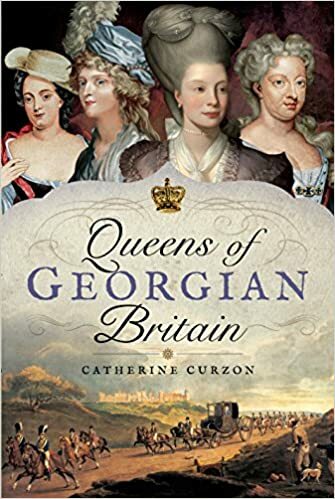 Georgiana had always suffered from fragile health and in early 1806, it appeared from the hue of her skin that the 48 year old Duchess had contracted jaundice. This in itself was not a cause for great concern but as March wore on, Georgiana's condition began to worsen. As her doctors proclaimed that she would no doubt make a full recovery they failed to recognise that the true cause of her illness was an undiagnosed abscess on her liver. Confined to bed in Devonshire House, Georgiana was tended by members of her family and every day visitors called at the house to enquire after the sickly woman. When it became apparent that Georgiana's condition was declining rapidly, the physicians began a programme of aggressive and painful treatment, none of which did anything to address the liver ailment that was killing her. 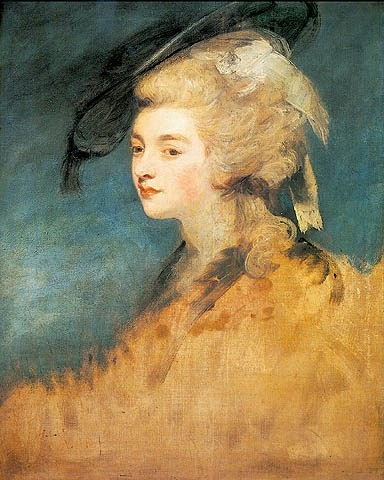 As word spread throughout London that the Duchess of Devonshire was dying, Georgiana began to suffer from seizures and spent the final days of her life in a state of insensibility. She passed away at half past three in the morning on 30th March, surrounded by her grief-stricken family. Despite their differences, the Duke was utterly inconsolable at the loss of his wife and her death plunged society into deep sorrow. Just as the people of the capital had enquired daily as to her health, now innumerable residents of the city crowded into Piccadilly to mourn before the gates of Devonshire House for the woman who had been so famed throughout the land. The Duchess of Devonshire was laid to rest at All Saints Parish Church, now Derby Cathedral; her memory lives on vibrantly today, a true icon of Georgian England. Chatsworth House by yours truly! 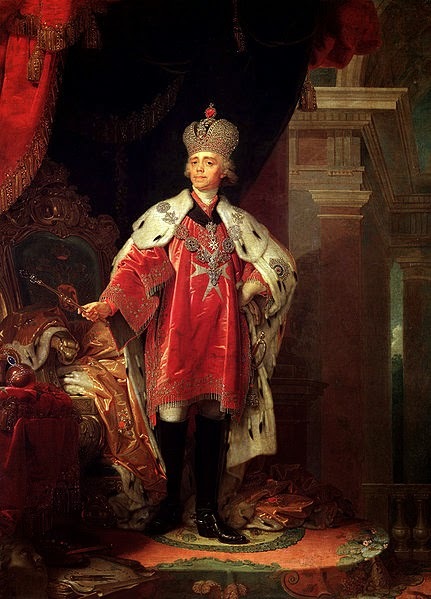 I had not intended to revisit the ailing King Gustav III of Sweden but the tale of the attempt on his life on 16th March 1792 seemed to strike a chord with salon visitors. For that reason I thought we would pay one final visit to the court of Gustav and discover how his sorry story ends. As we have already learned, Gustav's fate was sealed when he chose to ignore an anonymous death threat received during dinner in Stockholm. Rather than flee, he instead strode into a glittering masked ball and found himself surrounded by assassins. When Jacob Johan Anckarström pulled the trigger on a gun loaded with balls, nails and scraps of iron, the weapon discharged into the king's back, wounding him seriously. Despite his injury, Gustav remained on his feet and as he staggered to remain upright, his aides rushed to his side with the intention of getting their monarch to safety. As the assassins were apprehended, Gustav was returned to his quarters and the royal physicians flocked to the king's aid. At first it appeared that the assassination attempt had failed as Gustav lived and, with medical care, continued to serve as head of state. In fact, he was never to regain his health and within days the wound had become infected and the king's condition began to deteriorate rapidly. As the days drew on the wound grew ever more septic and Gustav's weakened condition left him easy prey to pneumonia. On 29th March Gustav's life finally reached its final hours and with his dying breath he murmured, "A few moments rest would do me good." Those were the final words King Gustav III would ever speak and he died soon after, less than a fortnight from the night of the fateful, fatal ball. 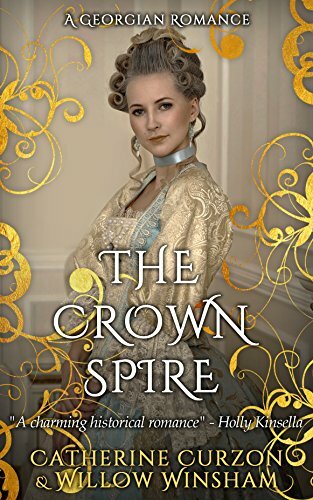 Life in the Georgian Court, true tales of 18th century royalty, is available at the links below. 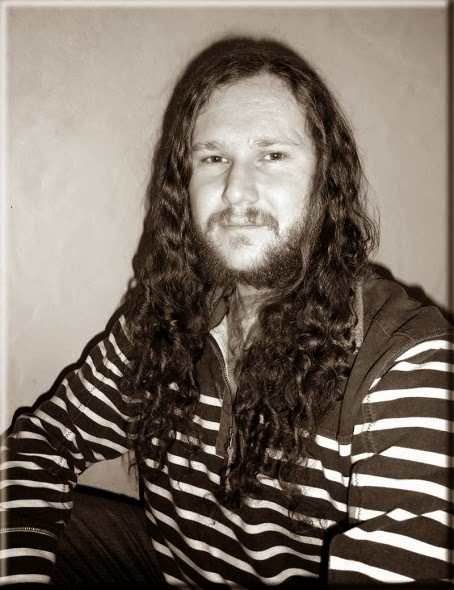 Today it is my pleasure to welcome Nick Smith to the Guide. Nick is a gentleman who knows a thing or two about the ways of buccaneers and today he shares the tale of Rachel Wall, a most particular pirate. Well I must say Madame, it’s a pleasure to take a turn around the Gardens with you on my arm – Captain Hilberton will be most green with envy when I tell him! But look, what’s this? Fancy dress by the theatre? Devils, Princesses… and what’s she wearing? Outfitted as a pirate you say? Why Madame – I declare you are correct. A pirate… hah – how brazen. I suppose she thinks it’s most romantic, life on the ocean, the sea spray on your face, beholden to none but your brethren. Well Madame, let me tell you a thing or two about pirates, for I just returned from the Colonies. Pardon Madame? No, you are quite right – the ‘United States’ we must call our misled cousins now eh? Aye… land of hope and free; well I’d love to see how long that’ll last… But I digress. Rachel Schmidt was her name, a Presbyterian by birth, but she led the life of nothing so dour. She came from an honest Pennsylvanian farming family of German descent, a dull existence for one who sought adventure. So in 1776, at the age of sixteen, she befriended the American privateer George Wall – one of those roguish sailors fighting against our beloved King George. To Boston the couple eloped, no doubt with the promise of wealth and adventure deeply planted in our Rachel’s head. 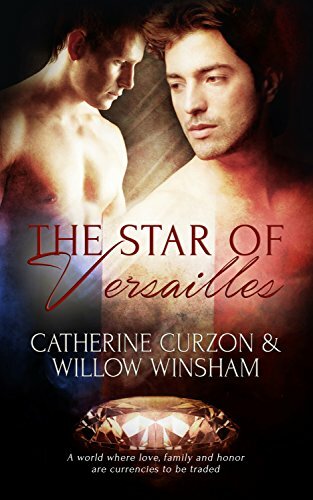 But the life she dreamed was not to happen – not yet at least, for George abandoned his newly wed. Lost and confused in a strange city, Rachel managed to find work as a servant in a well to do home. Here she may have stayed, treated well by her betters, many have done so much worse than this existence – a roof over her head, a warm home and food in her belly. And if that were the case Madame, then I wouldn’t have this tale to tell. No, five years later George eventually returned to her, laden with money from his plundering – but whether this wealth came from the British or others, it is unknown. An American may say George’s initial sailing enterprises were noble for their young pretender nation, but fighting the British was not enough for this rum cove. He acted not for the love of the United States, but for greed alone. George had a new target – the merchant sailors of his own shores, and with his wife, he had a cunning plan. Accompanied by a band of pirate friends, they would wait for rough weather to strike the area, sail out to sea in a schooner, lay to with Rachel at the mast crying for help. Their vessel was no doubt in disarray to add to the illusion. And who wouldn’t come to the aid of an apparent lone female caught in the midst of high waves? As soon as her rescuer drew alongside the trap was sprung. A bloody slaughter ensued, with no quarter given. These were not like the sea rovers of the golden age – those who boasted of their deeds, but spared sailors who laid down their arms – no, for George and Rachel wanted nothing of their actions to be reported back to Boston. Every man, woman and child’s throat was cut, their bodies dumped in the ocean, their cargo pilfered and their blood-spattered vessel sent after them deep to Davey Jones. This premeditated and bloody murder continued for over a year, until 1782, when their ally – the stormy weather – had the better of them. According to Rachel, George and other pirates were swept over board to drown when their main mast sprung. Are we to take this at face value though? I of all people know the harshness of the ocean, yet one cannot but wonder whether some other foul deed fell upon Rachel’s beloved, whether the vixen herself had some part in his demise. Either way, his corpse followed those of his victims, dropped to the watery depths below. The very ploy of the distressed maiden in her floundering vessel now became a reality, and the type of merchant she would once call prey became her saviour. Rachel returned to Boston, back to the role of servant. Here she could have stayed, her foul deeds unknown, but she had the taste for criminality and the rewards such a life could reap. She was soon back to the docks, whoring her way around the captains of the ships, stealing their keepsakes as they slept. She carried on with this brazen behaviour until 1789 – how she ever managed to get away with such open robbery for so long is beyond me – for this was a far cry from the Presbyterian farm girl we once knew. Now though, we come to her end, for through the docks one day, she came across a pretty little girl of nineteen, and like the magpie that she was, Rachel was drawn to her bonnet. She snatched it from her head, but the girl fought back. Rachel, as we know was no soft girl – she smashed her victim to the cobbles, and drawing a blade, attempted to cut out her tongue. All for a bonnet no less! We already know Rachel preferred no witnesses to her crimes, and so perhaps was trying to silence the girl from reporting her to the authorities. Fortunately the young lass was saved by a passing sailor, and Rachel was imprisoned. 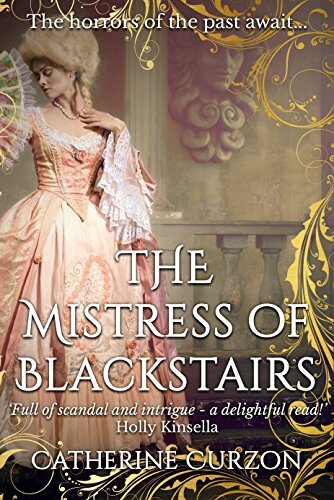 Her trial Madame, was most extraordinary, for she refused to be tried for robbery, and instead cried out she was a pirate, and spoke of all her crimes to date with her dead husband George. Why she admitted such a thing after seven years of silence we can never know. Perhaps guilt, or a boast of the colourful life she had led far from the farm of her birth? Regardless of her motives, Rachel Wall was hanged on Boston Common less than a month later. That’s a real pirate Madame Gilflurt – and not very much romantic about the business at all eh? Nick Smith is a twenty-eight year old Northumbrian in exile, currently living on a small rock in the Channel Sea where he teaches science. He has a love for all things of a nautical and historical nature. 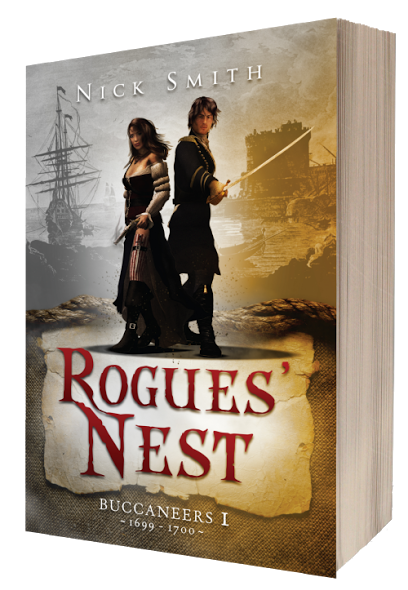 He is the author of the gritty swashbuckling adventure ROGUES’ NEST – a realistic look at buccaneers and pirates at the start of the 1700s. 1699. 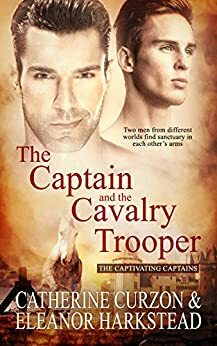 Stranded on the greasy shores of a notorious pirate haven, Captain Miguel Fanéz begins a near suicidal mission to find his missing sister Maria. She was returning to Spain aboard the storm-damaged San Isdora galleon until buccaneers took her and the precious cargo of indigo and silver for their own. 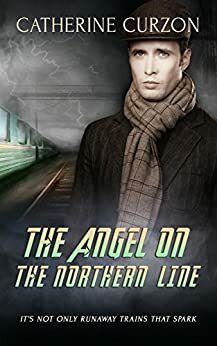 Lost in a lawless place where he doesn’t belong, and struggling to keep his true identity hidden, Miguel finds safety with local whore Jacquette – a girl with her own secrets and problems. Written content of this post copyright © Nick Smith, 2014. Today we welcome a most remarkable lady to the salon. Writer, translator and free-thinker, Sophie Mereau lived a passionate and tragic life, searching for personal happiness even as her professional achievements flourished. Mereau enjoyed an exceptionally good education and was the only woman to study in the seminars held by Johann Gottlieb Fichte. Fichte had an enormous influence on her writing yet she was not afraid to disagree with him and discussed differences in their approaches in writing. In 1793 Sophie married law professor, Carl Friedrich Ernst Mereau, whose surname she used in her writing and with whom she would have two children who survived infancy. It was through her husband that Mereau met Friedrich Schiller and he encouraged her poetry and published her work in a number of journals and almanacks. Under Schiller's guidance she flourished as a poet and writer and published her first novels, as well as translating European works and publishing journals and almanacs. She was one of the most well-known figures in the literary life of the city of Jena where she and her husband made their home and she was particularly popular with the students who were tutored by Carl, some of whom became more than friends. Whilst her career flourished, Mereau began to feel dissatisfied in her marriage as she longed for a grand and passionate romance and she embarked on numerous affairs, none of which satisfied her longings and in defiance of convention she travelled with her lovers, making no attempt to hide the scandalous relationships she enjoyed. When her little boy, Gustav, died, Sophie sought a divorce from her husband and he agreed, apparently without any animosity. Mereau took her daughter and left the marital home, her writings leaving her with more than enough money to support herself. Mereau embarked on a passionate and volatile affair with poet and novelist Clemens Brentano but when she fell pregnant by him in 1803, the couple were married and Mereau began to withdraw from the public eye somewhat. In fact the relationship continued to be fiery even after marriage but, following a number of traumatic miscarriages, the couple grew closer. Sadly, Mereau was not to live to enjoy this new-found harmony and died whilst delivering a stillborn child in 1806. Well, it has not escaped my attention that one of the regular visitors to my salon thinks that I can be relied upon to feature the National Razor at least once each week. Never one to disappoint a gentleman, I could hard let the anniversary of the birth of the estimable Dr Joseph-Ignace Guillotin pass unmarked. I hope that a certain gentleman of Cork who visits the salon so often will appreciate that this post is written with him in mind! 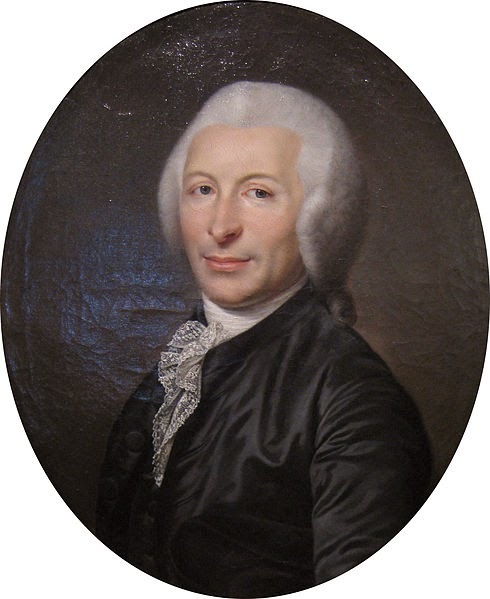 Although Guillotin's name is forever associated with the instrument of execution that was to became so infamous, the doctor himself was actually a medical man and politician. One of the ten Paris deputies in the Estates-General, Guillotin was passionate about reform of medicine in the country and became a regular at debates, where he was an eloquent and learned speaker. On 10th October 1789 Guillotin attended a debate on the subject of capital punishment, a topic he held strong feelings on and something that he hoped to see stamped out forever. When it came to his turn to speak, Guillotin spoke out against the practise of agonising public executions and explained that, though he opposed that death penalty, he believed that the means of death should be as quick and humane as possible. To this end he proposed that decapitation should become the standard method of execution but not by axe or sword. Instead Guillotin posited that a machine might be developed that would "cut off your head in the twinkling of an eye and you never even feel it", and that every person sentenced to death would meet their maker by way of this machine. Crucial to his scheme was the importance of ensuring the condemned prisoner was afforded dignity, so there would be no public execution but rather a private, efficient procedure. This would, he felt, make capital punishment a truly democratic act. All prisoners would be afforded a speedy, hopefully painless end that would see their dignity remain intact. Rich and poor alike would face this yet to be named device and the town squares of France would no longer witness gory public executions. In fact those who witnessed the debate found the idea that anyone could be painlessly decapitated utterly laughable and it would be two years before decapitation became the official method of execution in France. Guillotin himself did not design the machine that came to bear his name and it was, in fact, initially developed by Dr Antoine Louis and built by Tobias Schmidt. In 1792 the guillotine was erected in Place de Grève and the first man to meet his death beneath the blade was Jacques Nicolas Pelletier. Although he played no part in its design, the device was inextricably linked with Joseph-Ignace Guillotin to the extent that, many years later, the doctor's family petitioned the government to rename the instrument. When their request was refused they simply changed the family name. It is a popular myth that Guillotin died on the National Razor; in fact, although he was briefly incarcerated during the revolution, he passed away peacefully at home in his seventy sixth year. A holy lady visits us in the salon today. From orphan to educator and latterly saint, it is a pleasure to share the story of Lucy Filippini. Long before her canonisation, Filippini's life was far from perfect. When the little girl was still a babe in arms her mother passed away, followed by her father when Filippini was just six years old. With nobody left at home to care for her, the little girl was sent to live with her aunt and uncle, an aristocratic couple who arranged for their young, already devoutly religious, charge to be educated in Santa Lucia by Benedictine nuns. Under the tutelage of the nuns Filippini's intelligence was clear and she proved herself to be a thoughtful and pleasant child, with her sights set early on a life of faith. Filippini eventually joined the Sisters both in their holy orders and their educational mission, passing on her learning to the children who followed her into the school. 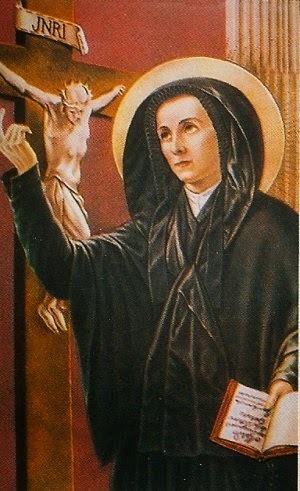 Under the patronage of Cardinal Gregorio Barbarigo she was entrusted her with the task of establishing schools for young women from poor families. By the time Filippini was twenty years old she had founded the Pious Matrons and was already recruiting and training teachers who would tutor the girls in the domestic arts. Eventually the schools numbered more than 50 and Filippini was personally invited to replicate her success in Rome by Pope Clement XI in 1707 and here she founded more schools, as well as devoting much of her time to ministering to the poor and sick. Lucy Filippini died of breast cancer in her sixtieth year; just under two centuries later, she was canonised in recognition of her works. It is a pleasure and honour to welcome the estimable Stephenie Woolterton back to the salon today, with her fascinating tale of the memoirs of Humphry Repton. 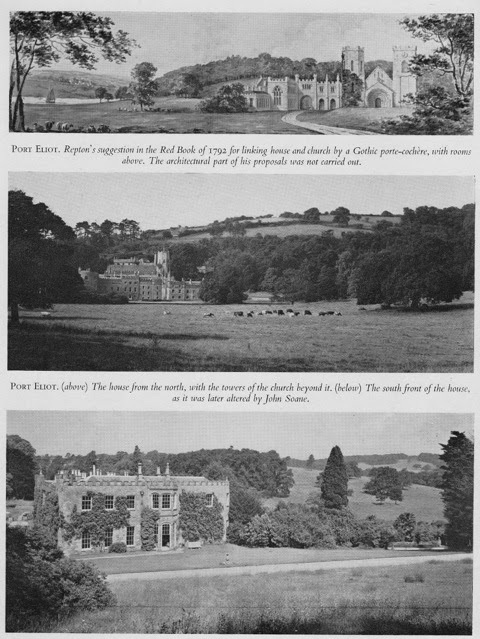 Fig 2: Three views of Port Eliot, Cornwall, Edward Eliot’s family seat. When in later life, after a carriage accident in 1811 forced Repton into an early retirement, he decided to use his spare time writing his memoirs. My specific focus is to examine Repton’s personal accounts of his time consulting with two prominent politicians – William Pitt the younger at his country villa at Holwood in Kent, and Henry Addington at Woodley Lodge in Berkshire. During the time of Repton’s acquaintance with those two great men in the 1790s, Pitt was First Lord of the Treasury and Chancellor of the Exchequer, and his friend Henry Addington was Speaker of the House of Commons. Pitt and Addington had known each other from childhood, Addington’s father being Pitt’s father Lord Chatham’s family physician. As a result of this early bond they retained a close personal friendship beyond the realm of politics. In his memoirs, Repton states that he first became indirectly acquainted with William Pitt in December 1792 through Pitt’s political friends and adherents George Rose and Charles Long, although he latterly confused the first names of the two politicians. Repton had been consulted about the grounds of Pitt’s Holwood House, near Keston in Kent, after additions were made to the interior of the property. The architect John Soane had been involved from the 1780s in designing a new staircase, hall, dining room, and bedrooms at Holwood, and Repton felt these internal improvements necessitated corresponding changes to the grounds of the property . Pitt was apparently in agreement. He shared his father William Pitt the Elder’s (1st Earl of Chatham) interest in architecture and gardening. Although Repton did not personally meet Pitt until the middle of 1793, probably in May or July, he had made several visits to Holwood when Pitt wasn’t present. Repton had initially been expecting a cold, obstinate man. In actuality, he found Pitt to be the exact opposite, readily acquiescing to Repton’s suggestions for the improvements even if they differed from Pitt’s own ideas. Repton relates an instance in his memoirs from the summer of 1793 when, passing through Kent, he came to Holwood one evening when Pitt was there with a large party of friends. Repton was requested by a servant to come inside, and Pitt came to him immediately. Repton felt he was intruding on the Minister’s privacy, but Pitt put him at ease, saying “Mr. Repton never think that a visit from you at Holwood can be any intrusion since I always come here to enjoy that sort of pleasure to which no man can contribute so much as yourself.”  Repton related that “while we continued talking, coffee was brought in, and it was settled that I should remain all night, “if I could sleep in a room like a berth on board a ship,” which was that room usually occupied by Lord Mulgrave.”  They then joined the large party in the dining room, and later in the evening it was proposed that they should all go outside to see the late improvements by moonlight. Repton continued to enjoy an advantageous access to Pitt throughout the 1790s. 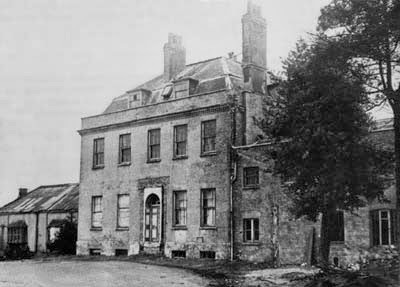 In 1798, he even spent time with Pitt at Woodley Lodge, the seat of Pitt’s great friend Henry Addington (later Pitt’s successor to the Premiership) at Sonning in Berkshire. This probably occurred on several occasions due to the tone of Repton’s memoirs. The visits with Pitt and Addington at Woodley Lodge can be dated to around 1798, and display the easy familiarity and privileged position Repton enjoyed. The Reading Mercury reported on 23rd July 1798 that Pitt had been on a visit that week to the Speaker’s [Addington] at his seat at Woodley. Perhaps Repton was also staying there at that time. Also, in a letter from Pitt to Lord Auckland on October 22, 1798, he told Auckland that he was “…staking out my new road with Mr. Repton” . On the very same day, Pitt wrote to Addington to the same effect, telling him “I borrow a few Minutes from the Instructive Conversation of our Friend Mr. Repton, (who is now here [at Holwood] and staking out an Approach).”  This letter, and especially the words “our Friend Mr. Repton,” indicates that by October 1798 Repton was on a friendly footing with both of them. Above all, Repton enjoyed the brilliancy of the conversation he witnessed between Pitt and Addington. Repton later mused that “Addington excelled by being [the] most serious, and Pitt was the most quick in repartee,” and he was astonished watching Addington and Pitt swapping quotations under a large Beech tree at Woodley in Latin, Greek, French, and English! Both politicians had an extraordinary memory, and a superior knowledge of the classics. However, what struck Repton most of all about the two men was their genuine fondness for each other. Writing in his memoirs many years after Pitt’s death, Repton reminisced that Pitt and Addington “loved each other as brothers, and played together like schoolboys.”  Pitt was always fond of children, although he never married himself, and Addington’s family was no exception. Repton poignantly described having seen Pitt playing with Addington’s children at Woodley, with Pitt “romping” around, and “rolling on the carpet or the lawn with them while the fond father [Addington] laughingly looked on with proud affection.”  That the eminent landscape architect shared the private intimacy of the greatest men of the Georgian period is beyond a doubt. 1. Stroud, D. (1962) Humphry Repton. London: Country Life Limited, p. 15. 2. Loudon, J. C. (ed.) (1840) The Landscape Gardening and Landscape Architecture of the late Humphry Repton. London: Longman & Co., p. 114. 3. Stroud, D. (1962) Humphry Repton. London: Country Life Limited, pp. 69-70. 4. Ehrman, J. (1996) The Younger Pitt: The Consuming Struggle. London: Constable, p. 87. 5. Repton, H. (1803) Observations on the Theory and Practice of Landscape Gardening. London: T. Bensley. 6. Stroud, D. (1962) Humphry Repton. London: Country Life Limited, pp. 69-70; Ehrman, J. (1996) The Younger Pitt: The Consuming Struggle. London: Constable, p. 87. 7. http://www.librarycompany.org/color/section5.htm. Accessed on 21 March 2014. 8. Humphry Repton’s Memoirs. British Library Add Ms 62112, ff. 54-55. 9. Stroud, D. (1962) Humphry Repton. London: Country Life Limited, pp. 69. 10. Humphry Repton’s Memoirs. British Library Add Ms 62112, f. 55. 11. Humphry Repton’s Memoirs. British Library Add Ms 62112, ff. 56-57. 13. Humphry Repton’s Memoirs. British Library Add Ms 62112, f. 57-58. 14. Humphry Repton’s Memoirs. British Library Add Ms 62112, f. 58. 15. Reading Mercury, Monday 23 July 1798. 16. Auckland, R.J. E., Auckland, W.E. & Eden, W. (1862) The Journal and Correspondence of William, Lord Auckland (Volume 4). London: Richard Bentley, p. 62. 17. Sidmouth MSS. Devon Record Office. 152M/C1798/OZ/4. William Pitt to Henry Addington, Hollwood. October 22, 1798. 18. Humphry Repton’s Memoirs. British Library Add Ms 62112, ff. 58-59. 19. Humphry Repton’s Memoirs. British Library Add Ms 62112, ff. 59-60. Fig. 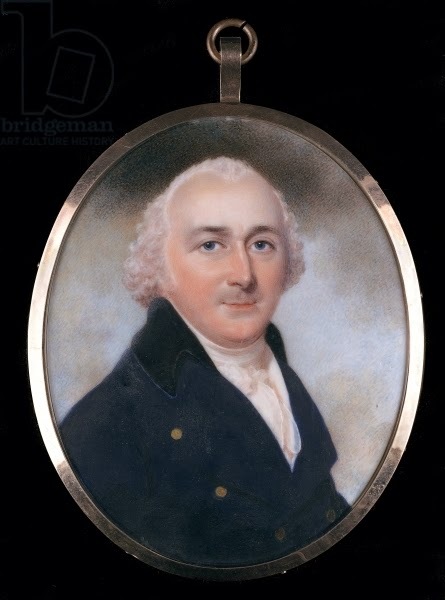 1: Portrait of Humphry Repton, c.1790 (w/c on ivory), Downman, John (c.1750-1824) / Private Collection / Photo © Philip Mould Ltd, London / The Bridgeman Art Library. Fig. 2: Port Eliot, Cornwall. Source: Stroud, D. (1962) Humphry Repton. London: Country Life Limited, p. 58. Fig. 3: Woodley House, also known as Woodley Lodge, Sonning Berkshire. http://www.berkshirehistory.com/castles/woodley_lodge.html. Accessed on 21 March 2014. Stephenie Woolterton has an MSc in Social Research, and a background in Psychology. She is currently researching and writing her first book on the private life of William Pitt the Younger. She is also working on a historical novel about Pitt’s ‘one love story’ with Eleanor Eden. She blogs at: www.theprivatelifeofpitt.com and can be contacted via Twitter at: www.twitter.com/anoondayeclipse. Written content of this post copyright © Stephenie Woolterton, 2014. After a pastoral turn around the gardens of Sheffield and a scientific sojourn, it is time to travel to Russia to witness a most dark moment in the history of that country. 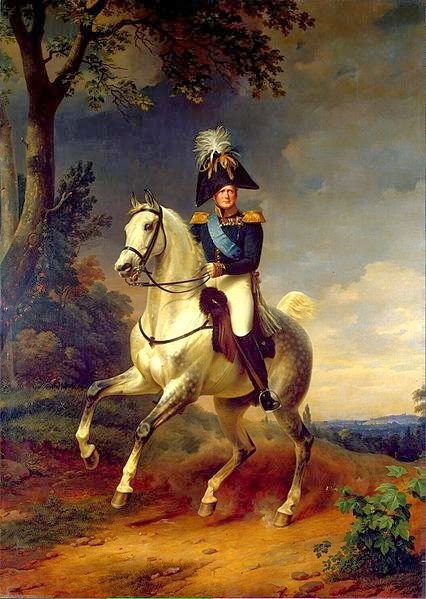 On this day, Emperor Paul I of Russia was five years into his reign and had made powerful and influential enemies. He believed that the noble class should behave in a chivalrous and honourable fashion and made efforts to deal with corruption in the highest government offices. Not only that, but he also increased rights for poorer citizens and put in place laws that ensured the poorest workers on estates could expect better treatment from their employers. Paul feared assassination and was right to, for in the last months of Paul's life, a conspiracy was being planned against him by our old acquaintance, Count Pyotr Alexeevich Palen, Count Nikolay Zubov, Count Nikita Petrovich Panin and Admiral José de Ribas, who died before the assassination could be carried out. As the night of 23rd March drew on, Paul hosted a dinner party in St Michael's Castle at which he was joined by his son, Grand Duke Alexander, who did not appear to enjoy the company of his father that evening. Presently Paul retired to his bedroom and began to prepare for rest as elsewhere, the conspirators waited for the appointed hour to strike. They spent the evening drinking and were admitted to the Castle by a member of staff who had been recruited to their cause, with the group making their way swiftly to the Emperor's chambers, where they easily overwhelmed domestic staff. Palen, meanwhile, made his way to Alexander's room where he and Paul's heir waited for the gruesome deed to be carried out. 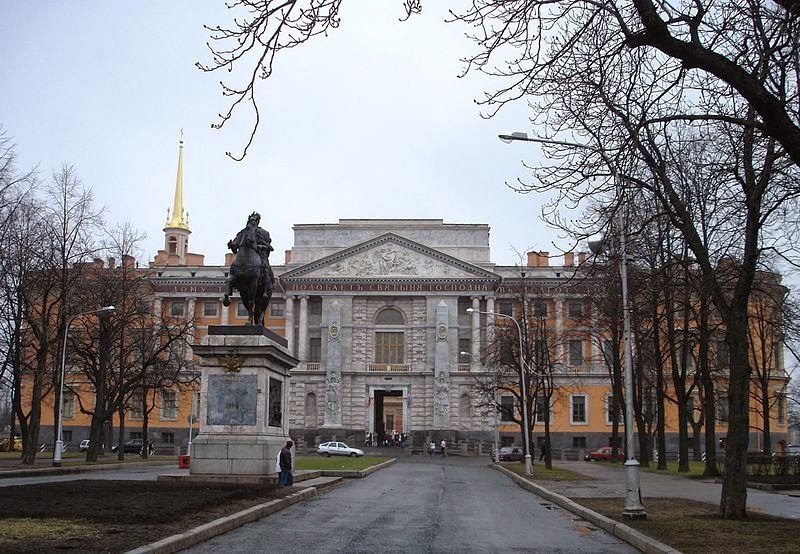 Hearing a commotion in the hallway, Paul took refuge behind a screen in his room as General Levin August, Count von Bennigsen and Prince Vladimir Mikhailovich Yashvil burst into the chamber with their supporters. Finding the bed empty, they turned the room over and dragged the terrified man from his hiding place. Forcing him to sit at his desk, they instructed Paul to sign abdication papers, which he refused to do. Paul's refusal enraged his attackers and when he tried to resist, he was struck with the blade of a sword by one of the band and then viciously attacked. In the ensuing chaos, the Emperor was strangled to death with a scarf and terribly beaten by his attackers. So did the reign of Paul I end in violence and Alexander I rise to power. None of the conspirators faced real punishment for their part in the plot and Palen's influence and reach ensured that much of the conspiracy remained mired in mystery. 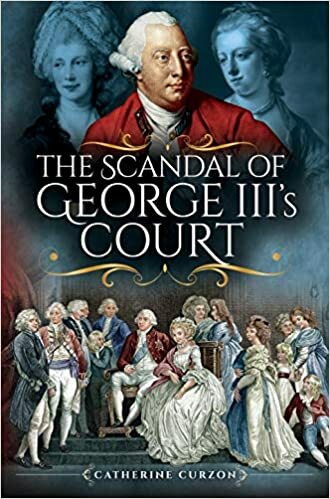 Whether Alexander was involved we can never be sure and while some of those who visit the salon say that he was part of the plot, others hold that he knew of the scheme but believed his father would be forced to abdicate, and no blood would be shed. Whatever the truth of the matter, the young man always felt a sense of shame for winning the throne through his father's violent death and would later develop a paranoia that his own life might be threatened, a worry that would plague the final years of his reign. 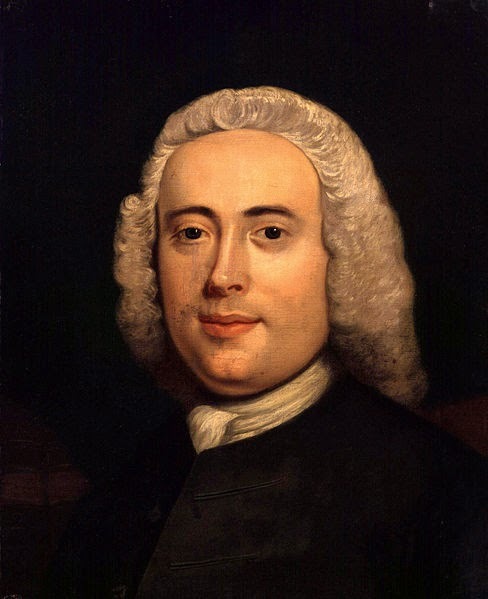 The salon welcomes a gentleman of science today as I share a pot of tea with John Canton of Stroud, a physicist of some renown who made his name thanks to a most magnetic personality. Canton was born to a non-conformist weaver, John, and his wife, Esther, and showed a keen intelligence early in life. Despite his academic ambitions, the child was taken out of school before his tenth birthday to take up the family trade but continued with education in the evenings once his working day was finished. He designed and carved a sundial that was displayed in front of the family home and passing travellers called in to enquire as to who created the device. One of these was Dr Henry Miles who, upon learning of the boy's talents, took a personal interest in his education. Eventually it became apparent to his father that Canton's gifts did not rest in weaving and he agreed that his son could travel to London, where he lodged with Dr Miles, who saw in his boarder great potential. With encouragement from his patron, at the age of 19 he became a clerk to Samuel Watkins, the master of Spital Academy, a school in Spital Square, London. Once his five year apprenticeship was finished, Canton enter into partnership with Watkins and remained at Spital Square until his death. In fact, he would eventually take over the School entirely in 1745, whilst his social circles expanded to include scientific and philosophical names. Just a year before he became Master of the Academy, he married Penelope Colebrooke and the couple had three sons together. Although he later participated in a number of experiments around electricity and was the first man in England to trial Benjamin Franklin's experiments with lightning, it was for his interest in magnetism that Canton was known. He appeared before the Royal Society in 1750 to read his paper on artificial magnets, which resulted in his being elected as a fellow. Ignoring apparently unfounded allegations of plagiarism from John Michell of Cambridge, the Society awarded Canton the Copley Medal for his achievements in 1751. He continued his interest in electricity and and phosphorescent materials, all the time continuing to work as a schoolmaster whilst winning a second Copley nomination for his experiments that proved water was compressible. A highly sociable chap with a love of society and good food, Canton died of dropsy aged just 53. This morning, as I prepare to travel to Chatsworth for games and tea, I received a most thrilling letter from a gentleman scholar. He tells a tale of a garden in the heart of Sheffield and I share it here with pleasure. Our British Gardeners […], instead of humouring Nature, love to deviate from it as much as possible. Our Trees rise in Cones, Globes and Pyramids. We see the Marks of the Scissors upon every Plant and Bush… For my own part, I would rather look upon a Tree in all its Luxuriancy and Diffusion of Boughs and Branches, than when it is thus cut and trimmed into a Mathematical Figure; and cannot but fancy that an Orchard in Flower looks infinitely more delightful than all the little Labyrinths or the most finished Parterre. (The Spectator 414, 25 June 1712). The early garden was designed to be decoded. The gardener was a prescriptive author with a message to convey: you could view a garden and get it wrong. As the century progressed the ‘emblematic’ garden was superseded by the new idea of an ‘expressive’ garden, which is largely typified by the work of Lancelot ‘Capability’ Brown. As John Dixon Hunt identifies in his essay ‘Emblem and Expressionism in the Eighteenth-Century Landscape Garden’, it is now the job of the gardener to provide inspiration for the viewer to determine their own meaning. Rather than withholding a specific interpretation the garden could now reflect the feelings of each individual to behold it. The garden could be experienced differently depending upon the mood and character of its viewer: its meaning is constructed by the speculative reflection that it stirs within each if its visitors. The idea that a landscaped space could be a canvas with which to elicit and reflect individual human emotions is indicative of a much broader change in thinking which encompassed non-artificial landscapes and literature (although, Egbert goes as far as to claim that these other changes were derived from changes in garden design). The latter of these changes is something that this project can consider. Broadly speaking the poetry of the eighteenth-century begins with the remnants of the country house poem, politicised in poems such as Alexander Pope’s Windsor Forest, but concludes with the early days of the Romantic Movement, in which figures such as Wordsworth, Keats and Shelley look to nature as a source of sublime speculative reflection. The novel also becomes a platform to consider the emotional and psychological potential of landscape, with Ann Radcliffe, Matthew Lewis and latterly Jane Austen explicitly addressing such themes. The garden became central to questions of where meaning should come from, and how an individual should reflect upon their own state of being. Just as all of this plays out in the estate gardens of the elite, this century also saw the emergence of the private allotment and domestic garden (a trend accounted for here in Sheffield by N. Flavel in ‘Urban Allotment Gardens in the Eighteenth-Century: The Case of Sheffield’). In one sense, individual citizens sought to replicate on a smaller scale the ambitious gardens of the landed gentry; encountering for themselves the very same questions of what a garden should and could do. However, the garden was far more than a space of artistic expression and introspection. It also served a practical function. As this project will reveal, the garden provided a space to personally grow medicine and herbal remedies. This is a century that saw the birth of print culture as we would recognise it today and this new ability and inclination to create and disseminate information was met by a large market of readers as interested in family health and medicine as they were in gardening and property maintenance. The individual garden is at the centre of the momentous changes to eighteenth century society that paved the way for modernity, affected as it is by the dawn of print, a new era of prosperity and citizen self-awareness, and the gradual popularisation of art, science and medicine. The eighteenth-century garden (in all of its forms) effortlessly saw art encounter science, the citizen meet the state, literature meet nature and the individual begin to consider and reflect upon itself. 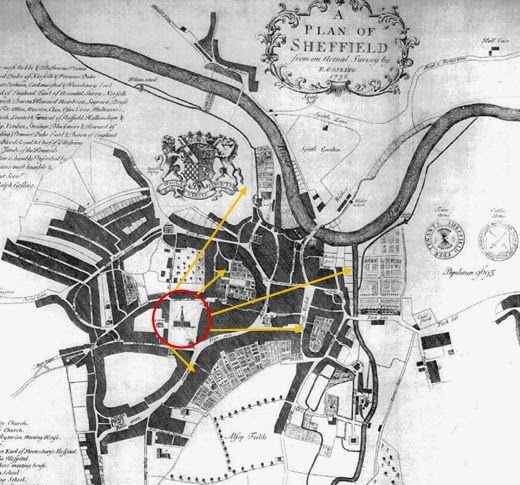 Now, in 2014, we’re growing a garden from the long eighteenth century in the middle of Sheffield. Staff and students in the School of English will be working hard over the next year to fashion a garden from their research; re-creating, re-enacting and re-imagining in equal measure to create a space where all can glean an insight into the domestic world of writers and readers who lived over two centuries ago. We will be keeping a record of our experience on the Furnace Park blog: http://www.furnacepark.org/blog/. There is much to be learnt from how the garden came to be all of these things, and hopefully in recreating such a garden at the impossible plot in Furnace Park we will unlock the secrets of how this could possibly be and apply them in our own future research. In rediscovering what this space meant two hundred years ago we will learn the value of interdisciplinarity today. 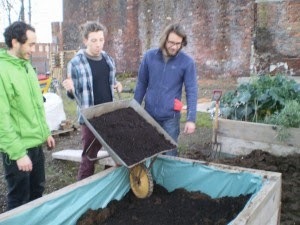 The post © Adam James Smith (@elementaladam) on behalf of the Furnace Park Garden project. The project, which is run by the faculty of Arts and Humanities at the University of Sheffield, is directed by Dr Jane Hodson of the School of English and is supported by Arts Enterprise. The garden is one of many exciting and interdisciplinary projects taking place at Furnace Park. The Execution of "The Yorkshire Witch"